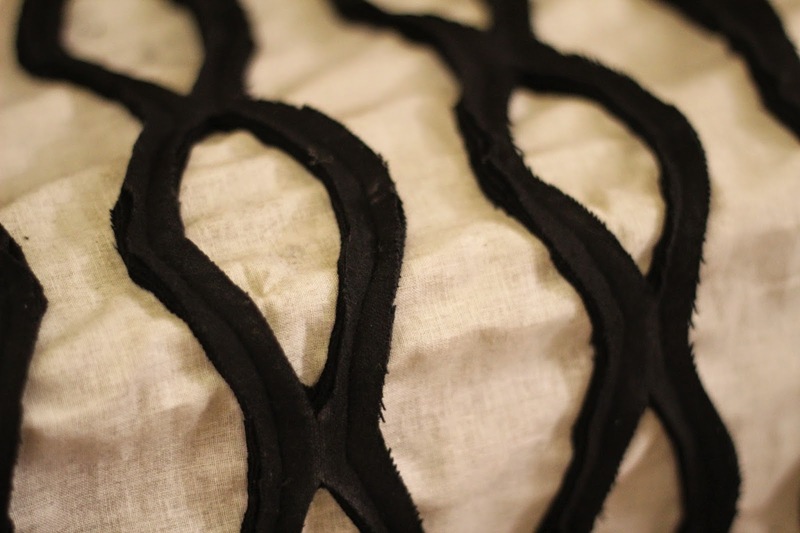 My new headboard is working out great, but now it's time to decorate my bed and make it pretty! 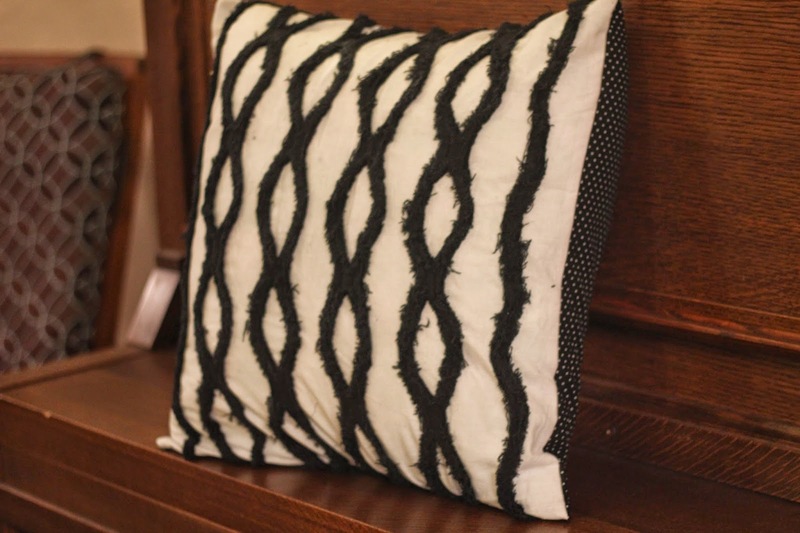 I saw these amazing faux chenille pillows and knew immediately this would be my first project. I picked up a set of throw pillows at a thrift store for $2.00. I wasn't interested in their look, but this was a much more affordable option than purchasing new inserts. First up, I measured the size of the pillow to determine my pillow front size. 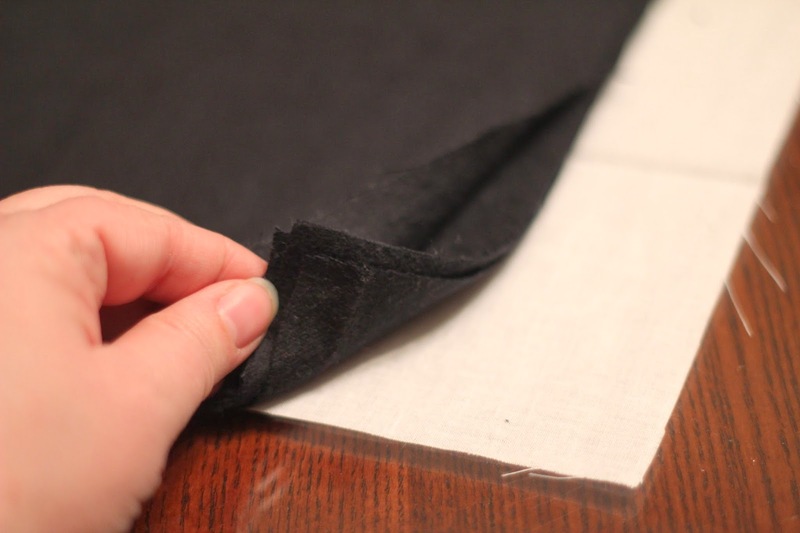 I cut one piece of white fabric and four pieces of black felt to fit. 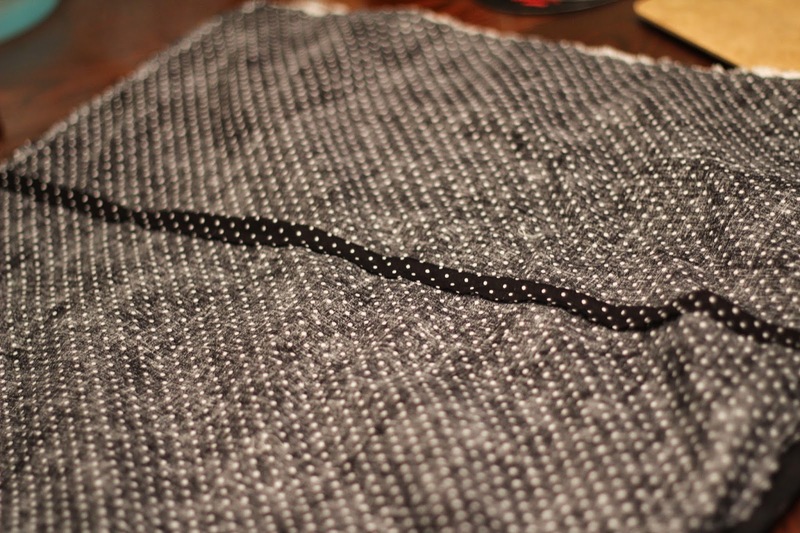 I also opted to sew the fabrics together by sewing a seam across the top of the fabrics. 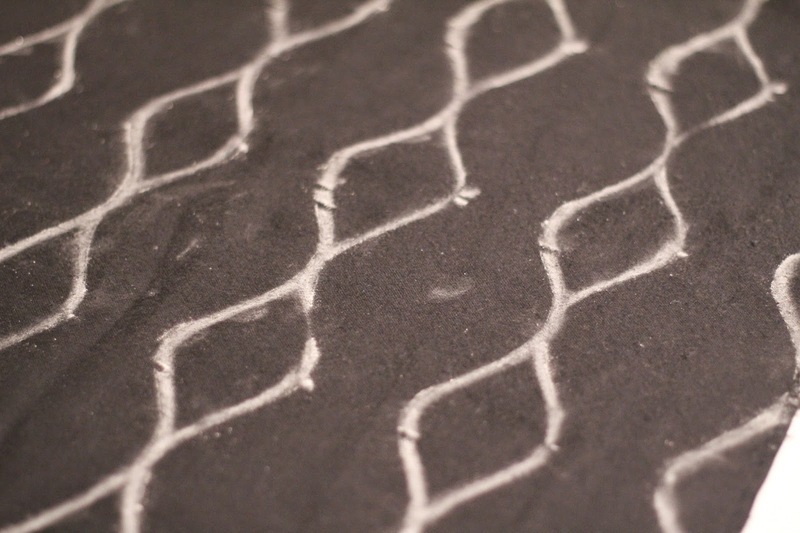 Next up, I created my pattern and traced it onto the fabric with chalk. 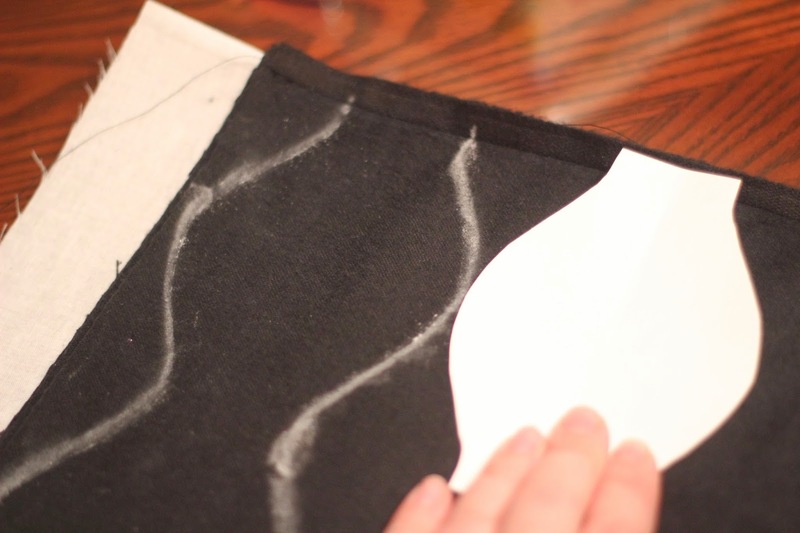 I then sewed along the lines (using the edge of the sewing machine foot as my guide). 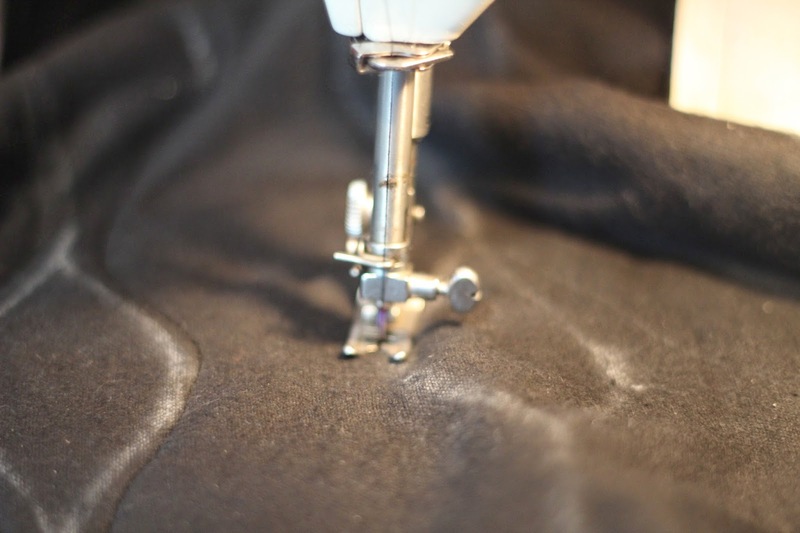 You will not sew directly on the line, but instead roughly 1/4 inch away. 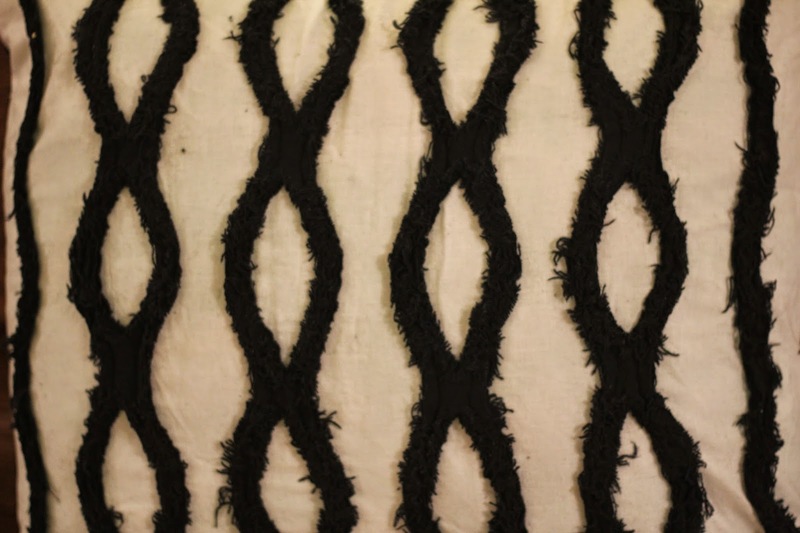 This is what the back of your fabric will look like. 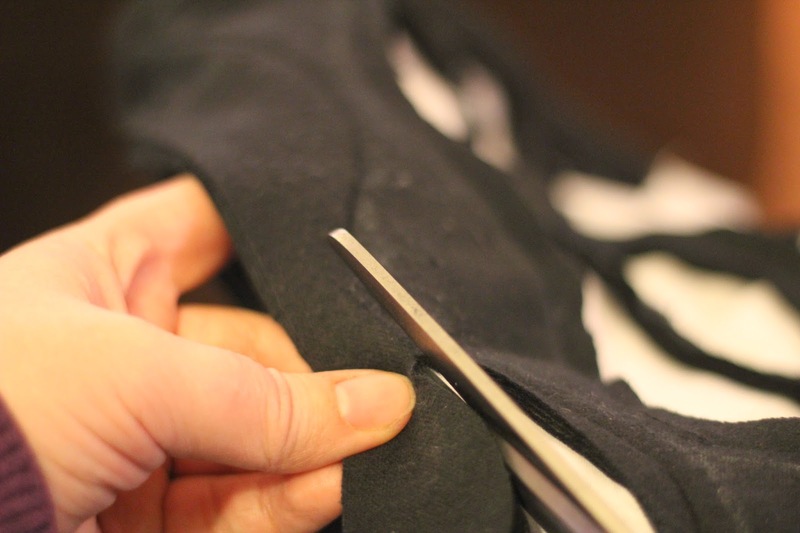 Trim along the seams being sure not to cut your bottom layer of fabric. I left roughly 1/4 inch. 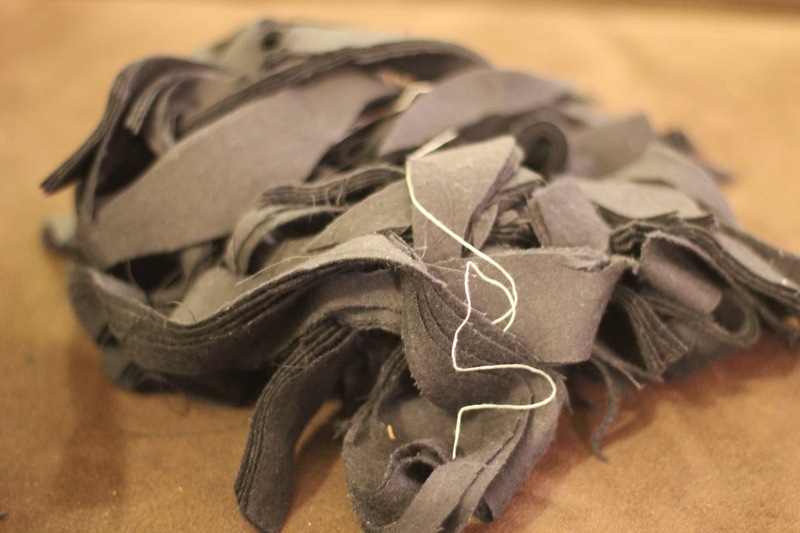 These are my fabric scraps. I kept them--maybe I can come up with a use for these too. Wash the fabric which will now cause the raw edges to fray. I also ran it through the dryer. 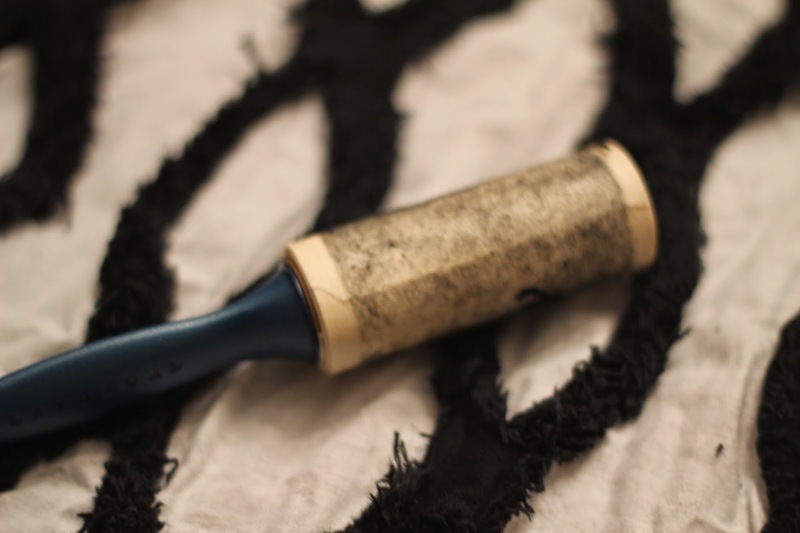 After it was dry, I did go back and use a lint roller to remove any excess fuzz. 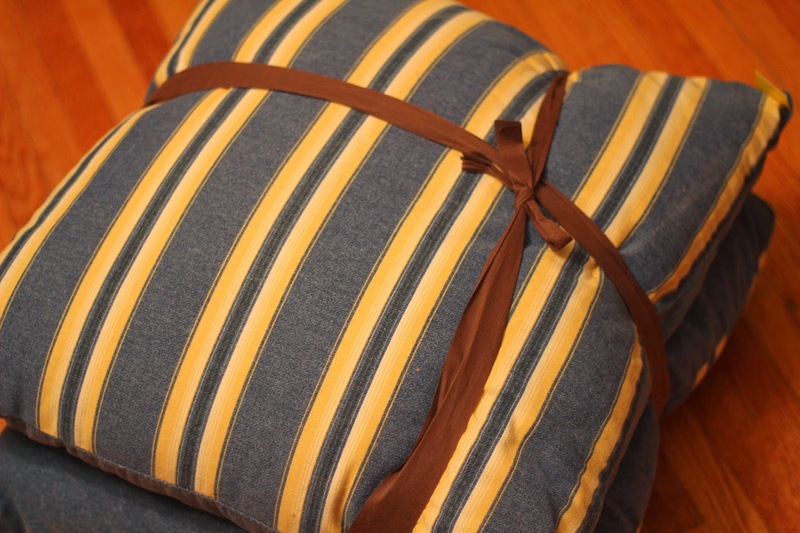 Using the pillow back pocket method, I sewed a back on my pillow. I stuffed my pillow insert into the pillow. It fit perfectly. 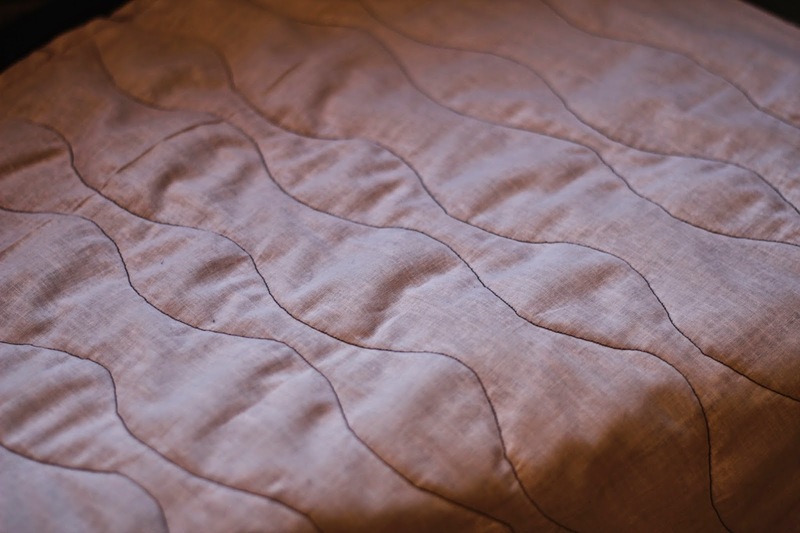 Don't you love Chenille?..and Faux Chenille might be even better!